Newly built flats at via Canton 218, sleeping 2/4 persons. Although the house is immersed in nature it is only 500 m away from the Cassana (no. 30) chairlift directly linked to the Carosello 3000 ski area, 50 m from the stop of the free bus that takes you to any part of the town and 10 minutes' walk from the centre of Livigno. 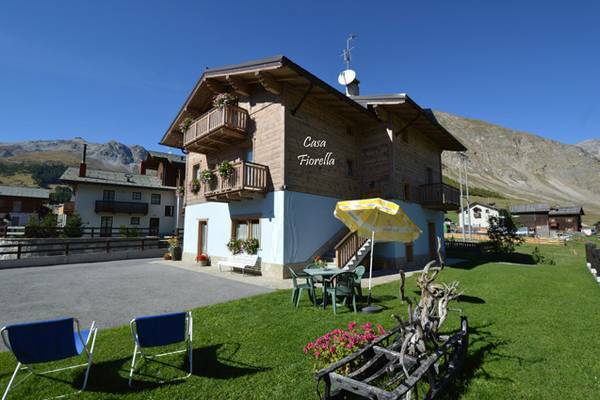 It is in a very quiet location, just where Val Federia begins, an ideal place for setting out on Livigno's trails and the cycling track and quite near to a grocery store and a bar/restaurant. Other shops, a butcher's, sports goods, ski and bike rental, restaurants and hotels, are about 300 metres away.